Trilogiq Flow Racks Produce Savings. 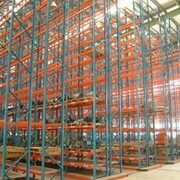 Trilogiq Australia's large range of flow racks are an ideal way to introduce flow into a manufacturing plant. 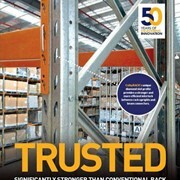 Trilogiq's LeanTek® system has been described as a "Big meccano set". 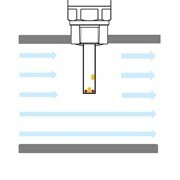 The Leantek system consists of tubes, joints, connections, fittings, roller tracks and accessories. Flow racks, workstations, trolleys and carts can be built, adjusted and modified by simply using an Allen key and hack saw. Shortening the production line. A production line that is too long means more personnel, more work in progress, longer task execution times and higher logistics costs. 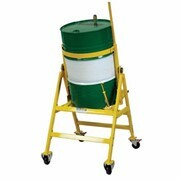 Using the LeanTek system, the lineside can be optimised to reduce these costs and also gain space. Reducing defects. This is achieved by providing parts flow to the lineside in appropriate sized containers. Reducing unnecessary movement. LeanTek's modular architecture allows workstations and flow racks to be configured so that components are close to hand and ergonomically positioned. Remove waiting time. 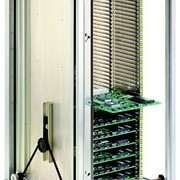 Trilogiq flow racks provide FIFO (First In, First Out) flow of parts to the lineside. 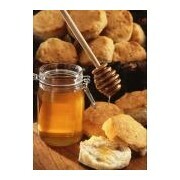 Stocks can be replenished regularly rather than waiting for a forklift to replenish an empty pallet or large bin. Reduce cost of transport. 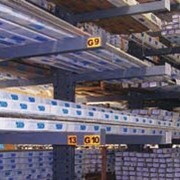 The Leantek system is also used for large "supermarket" storage areas. 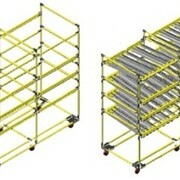 These large flow racks store higher volumes of parts near the lineside. 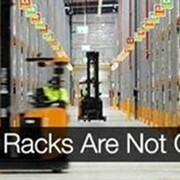 This promotes more regular, smaller deliveries to the line side flow racks. 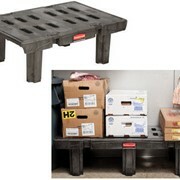 The Leantek system is also used to make towable carts, reducing expensive forklift usage. Reuse and re-cycle. Rather than welding up a flow rack for a specific purpose, only to have it end up in the "Graveyard" when obsolete, the Leantek system is designed to be re-used over and over as your requirements change. A flow racks components and tubes could be used to build a different flow rack, a trolley, a cart, a workstation or any other structure required. 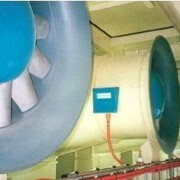 Trilogiq Australia provide customised solutions for materials flow in any manufacturing plant. Save time, save space, save transport cost…. 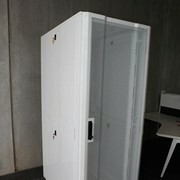 Save with Trilogiq Australia flow racks. 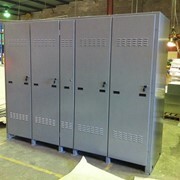 Trilogiq Australia | Lean Maunufacturing Implementation. Trilogiq Australia supply customized materials handling and gravity flow solutions. The Lean Tek system is a modular, re-useable construction system that provides infinite variations and solutions for your materials handling needs. Our solutions include, trolleys, flow racks, live carton storage, carton flow, towable trolleys, assembly centres, FIFO racks, workstations, benches and AGV Automated Guided Vehicles. 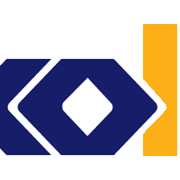 Trilogiq's LeanTek system is ideal for use with Lean manufacturing, Muda reduction, 5s programs and implementation of kanban systems. 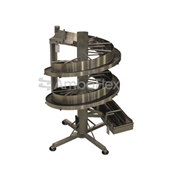 This highly flexible system can be used to address many requirements in manufacturing and logistics environments. 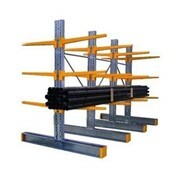 King Pipe Rack – Flow Rack. Triple flow cookies - effectively resolved! Mention IndustrySearch so Trilogiq Australia can best assist you! Get a callback from an expert at Trilogiq Australia to help answer your questions.